If you're a follower of The Mrs.'s personal blog (it's not really all that interesting... so I'm not hurt if you're not), you'll know that she recently left her day job in pursuit of a few other exciting work opportunities and to begin work on my PhD in musicology. On the home front, this is going to result in either amazing healthy eating or complete gluttony. 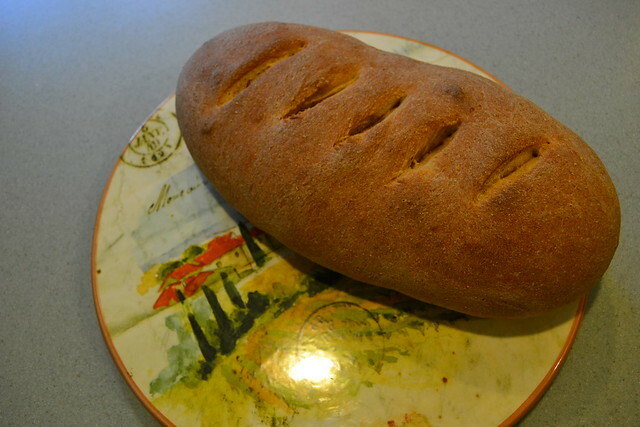 This week, we've enjoyed margherita pizza, zucchini chocolate chip muffins, and Martha Stewart's Honey Whole Wheat Bread. I actually followed the recipe out of Martha Stewart's Baking Handbook, however, the linked version is just about the same. Since we're just a family of two, I halved all the ingredients. I know the purists out there will tell me I should have dragged out my kitchen scale and weighed for more accuracy (the Baking Handbook uses both weights and cup measures), but I was being lazy. 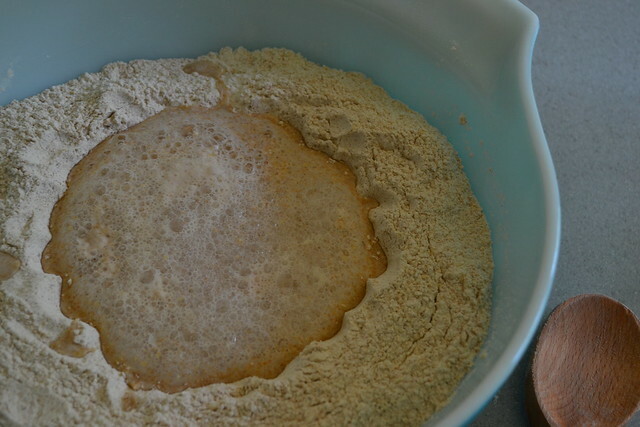 My favorite thing about this recipe was making the flour well. It was a nice method, but to be honest, I'm not really sure what the purpose of it is. 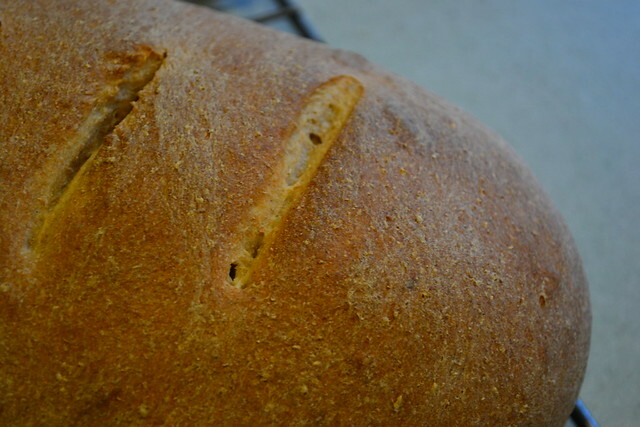 I'm still not sure I have the crust quite right. I'd like to try doing steam baths and water washes in the oven, but I don't know if my oven can be that fancy. Since I'm not a big fan of whole wheat challah, but I am a fan of wheat bread, I'm hoping this will make the challah a lot special on Shabbat. 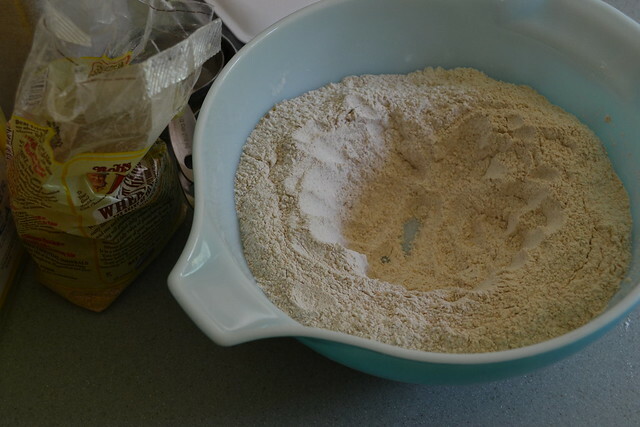 Do YOU save white flour for Shabbat? 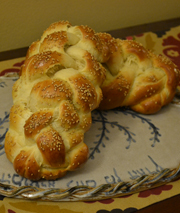 Have any go-to non-challah breads or baked goods?